You can make an online donation using your credit card. Simply enter the donation amount at the top of the page. 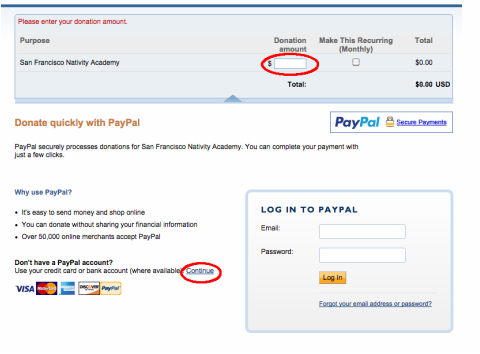 If you do not have a PayPal account and want to pay using a credit card, click the Continue button located near the credit card images on the left of the page.